There was much to like in the month of November. The Islanders took advantage of a favorable schedule and went 8-3-1 to finish 1 point behind Columbus for 1st place. 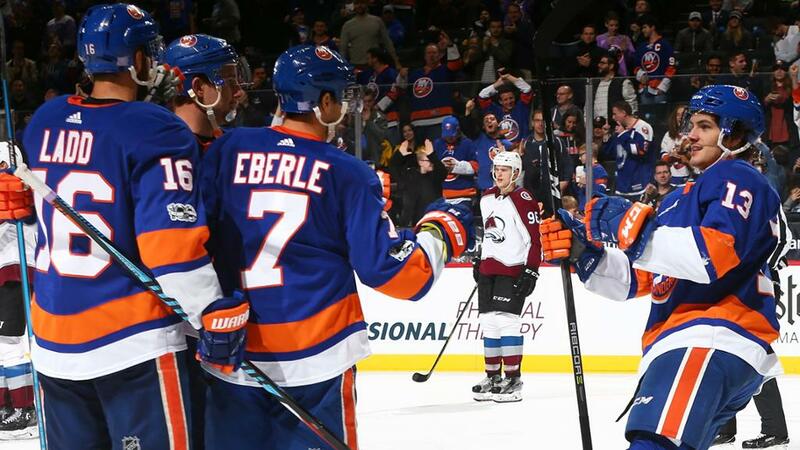 The Islanders won 7 of the last 8 games and are the only team without a regulation loss at home (8-0-2). 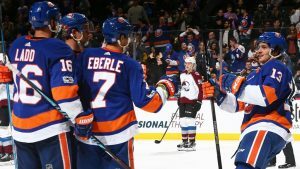 The Islanders once again scored 44 goals in the month during their 12 games, and their 3.67 average is currently tops in the NHL. The only real blemish of the month was the blow out in Dallas losing 5-0. The morale among Islanders nation is high and there is no doubt November was a buy. So many places to start, but it has to start with Mathew Barzal who has been a major force this season. He led the team in the month of November with 17 points and 14 assists. I think it’s safe to say everyone is happy Snow held on to him rather than trade him for Duchene, you really have to wonder where we would be without him. He put up 5 assists up against Colorado, had points in all but 2 games during November and had points in each of the final 7 games in the month. It’s not unrealistic to think at this point by season end he will be the teams point leader. This is not a situation of accumulating points, he’s creating scoring opportunities and making everyone around him better. Something the Islanders haven’t seen from a rookie in a long time. One of the biggest beneficiaries of Barzal’s play is Jordan Eberle, after scoring only 2 goals in October, he led the team in goals during the month with 8 and was the co-lead for forwards in plus-minus at +7. He clearly has chemistry with Barzal and is scoring big goals with 3 game winning goals in the month including one in Ottawa after Barzal circled the zone twice and scored on a beautiful feed from Leddy. 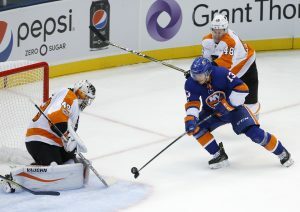 Another interesting stat is the Islanders have not lost a game in regulation in which Eberle has scored (7-0-1). Give Snow credit for this trade, the Islanders look like the big winner so far. Boychuk’s play has been concerning for some time, but he had a fantastic November. He was the team leader in +/- at +9 and scored 2 game winning goals including a huge goal against Carolina after a dreadful 2nd period and a blown 2 goal lead on a great play from Cizikas. (The other was against Colorado). You still have to wonder why he got less than 2 minutes of power play time in the month with his shot, but it’s nice to see him have a strong month on both ends of the ice. 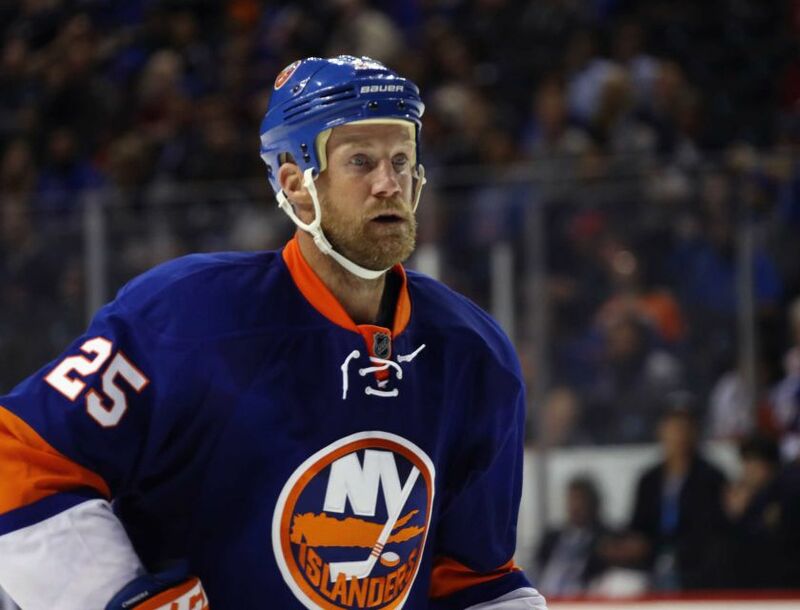 The Islanders need him to play well and be a physical presence in the defensive zone. 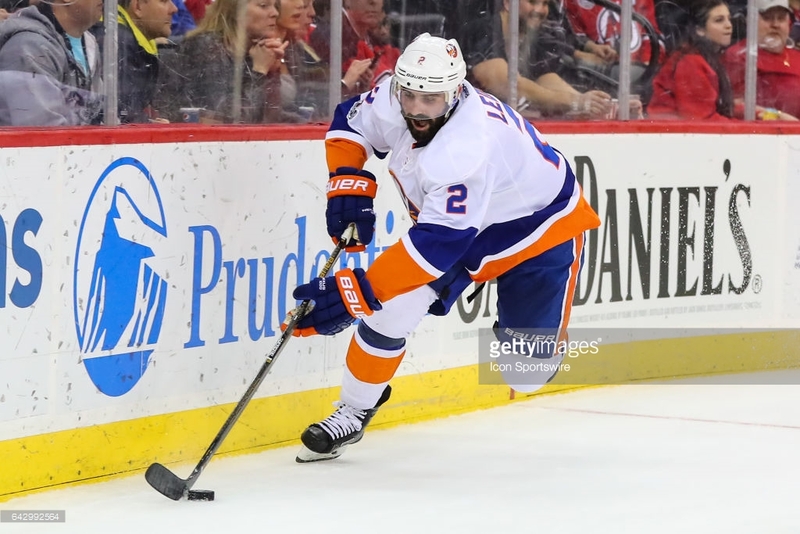 Boychuk’s partner Nick Leddy also had a fantastic month. 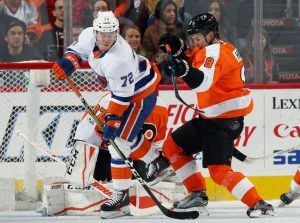 Leddy led all Islander defenseman in points with 13 during the month including a beautiful OT goal at Philly from a set up by Ho-Sang. 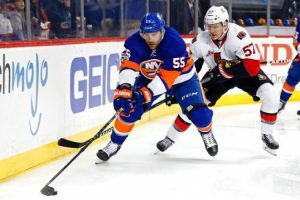 He has been a force on the ice, flying up and down the ice and opening up space for his teammates, but more importantly he’s been consistent and a top defenseman that the Islanders sorely need. 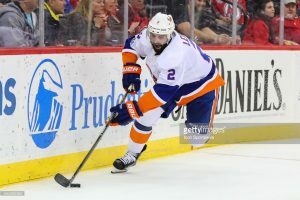 Leddy has 20 points in the first 24 games and is currently 1 point off the NHL defensive scoring lead and is absolutely in the Norris trophy running. 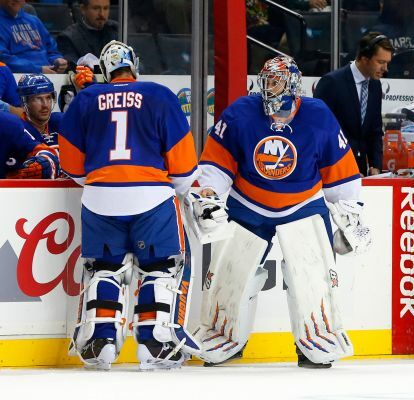 So far the goaltending has not been great, while Greiss did go 6-0-1 in the month his GAA for the month was over 3. Halak had a very up and down month, he played well the last 2 games and let’s hope we see more of that, but other times has looked completely lost and out of position. Halak’s save percentage in the month was .883. Of the 40 qualifying goalies, Halak is 28th in save percentage and Greiss 30th, that’s not good enough. Some of this no doubt is the defense and the system, we routinely allow over 30 shots a game, but the goalies need to be better. Jason Chimera started off slow last year and ended up with 20 goals, so far through 24 games, Chimera has zero goals. Now granted he is on the 4th line, but no goals and 1 assist in the month is a problem. He still has the speed, but he can’t seem to finish as he had numerous opportunities throughout the month. The once Islander’s “best 4th line in hockey” is no longer. You have to wonder how much longer the Islanders are going to stay with him. Expectations were high for Anthony Beauvillier and so far he has been a big disappointment. He had a dreadful month recording one assist and going -4. The only memorable play during the month was blocking a shot in Dallas in the blowout late in the game when it was clearly over. He is still only 20 years old but he has been a non-factor so far. He is also a team worst -8 on the season, 2nd worst is Pullock at -4. Maybe sending him to Bridgeport would be an option, it seemed to work for Ho-Sang. While the penalty kill was marginally better in November, they still sit in 20th at 79.2%. What I find more concerning is the system being used looks almost like a triangle and one, with 1 player chasing the puck while the other 3 players stand in an area. There always seems to be a ton of open ice and rarely do we have a PK where we aren’t giving up multiple scoring chances. The goal Vanek scored was a perfect example, tons of open space and a wide open player right by the net. This seems to be a reoccurring problem year after year and they seem to be regressing to how they played under Capuano. The top teams press the puck making it much more difficult to set up. I hope something changes, but I have zero confidence that it will. 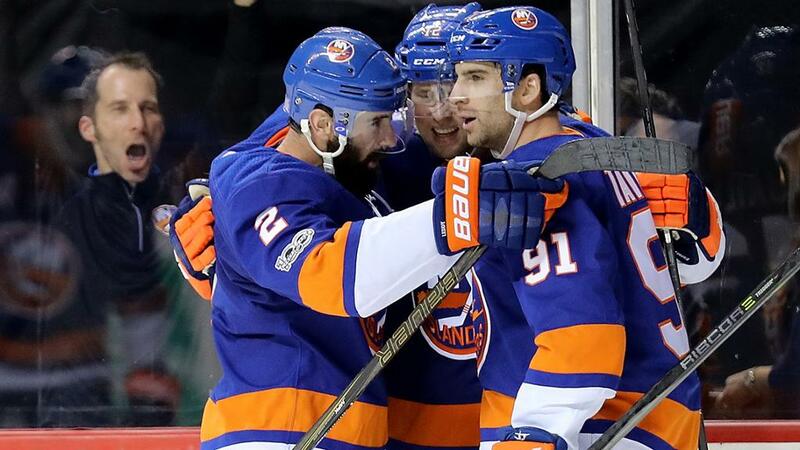 On a final note – let’s give the Islanders credit for the improvement on the Power Play. After a dismal start, the Islanders have turned the PP around. The Islanders now sit tied for 11th at 21.2% and they cut down the SHG allowed from 6 to 2 during the month, a huge improvement. 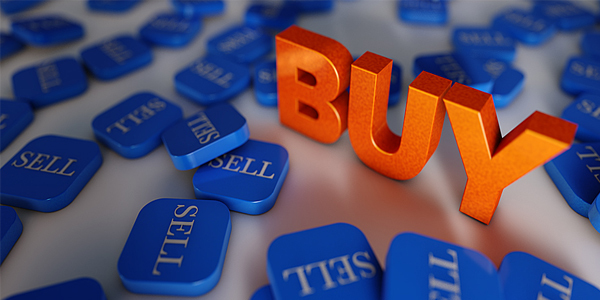 The final tally for the month was 11 for 42, a 26.9% success rate. They scored a PP goal in 8 games during the month including 6 in a row and amassed a 6-2 record in those games during November and they are 10-2 on the season in which they score a PP goal. It’s going to be an important factor in the team’s success going forward.